Congratulations to the Fall Fitness Medal Winners who completed their Fitness Run. These runners all finished with the fastest time in their grade level in the ¼ mile, ½ mile and one mile events. 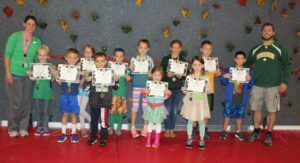 The following elementary students were awarded medals: Quinnrose Hastings, Grayson Votra, Sophia Zinna, Trent Hastings, Brooklyn Labonte, Anthony Catricala, Blake Arena, Riley Foss, Isabella Ovitt, Lucas Zuke, Haylee Jones and Seth Hendricks.